It is said that cockroaches are so resilient that they can even withstand a nuclear explosion. Needless to say, you need a very good pest control service to get rid of such infestations, which can spread diseases. 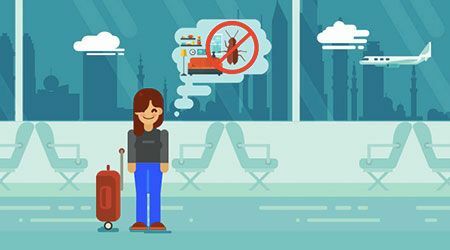 Whether you’re looking for pro tips to cockroach-proof your Dubai home before you go on a vacation or effective ways to tackle an existing infestation, these guide by ServiceMarket can certainly help you do so. More often than not, the easiest and surest way to eliminate cockroaches from your home is to just book a pest control service in Dubai.